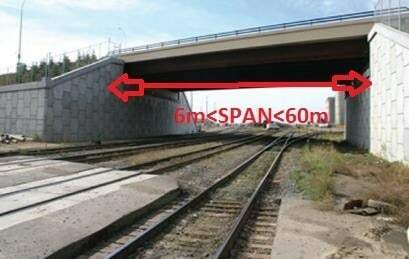 The drainage structure which facilitates a communication route for carrying road or railway traffic across an obstruction or depression with or without water is called a bridge. The route of communication may be railway, roadway, cycle track, foothpath, or a combination of both of them, and the obstruction may be in the form of a river, stream, valley, channel, road, railway track etc. 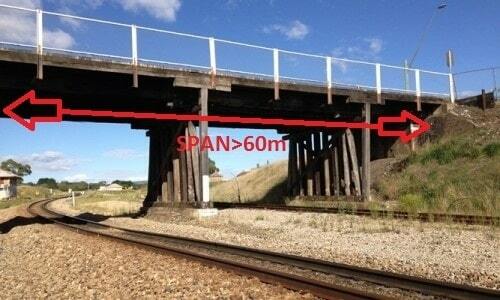 Bridge having total span length greater than 6m & less than 60m. Bridge having total span length greater than 6om. Major Bridge having the main span length more than 120m. A small bridge having total length of 6 m or less between the faces of abutments is known as a culvert. These are permanent drainage structures which are mainly constructed to carry roadway or railway track over small streams or canals. 1. Bridge is constructed to allow the easy passage of traffic or community whereas culvert is made for the passage of water. 2. 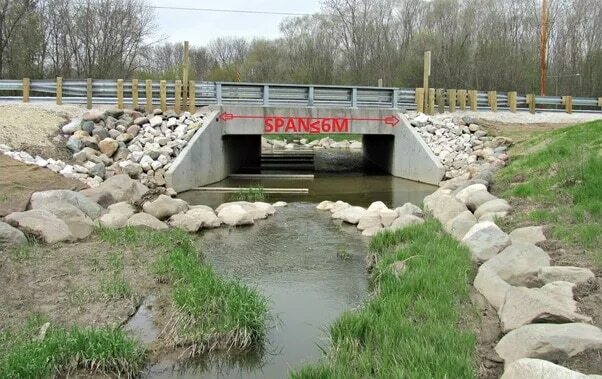 The length of a bridge is always more than 6 m, but the length of a culvert is 6 m or less than 6 m.
Culvert is made over small streams or canals. 4. Culvert is usually rectangular or circular in cross-section, having roof, walls and a floor. Bridge sits on foundation on each bank (or wing walls) and it does not have floor. Also Read – Structural Elements Of Bridge. this very good technical and acdmecal advice for briddge and culvert desiger. Interesting and important information I get from you. thanks a lot.